Description Large antique coptic crucifix accented with freshwater pearls, one round and one tear drop. 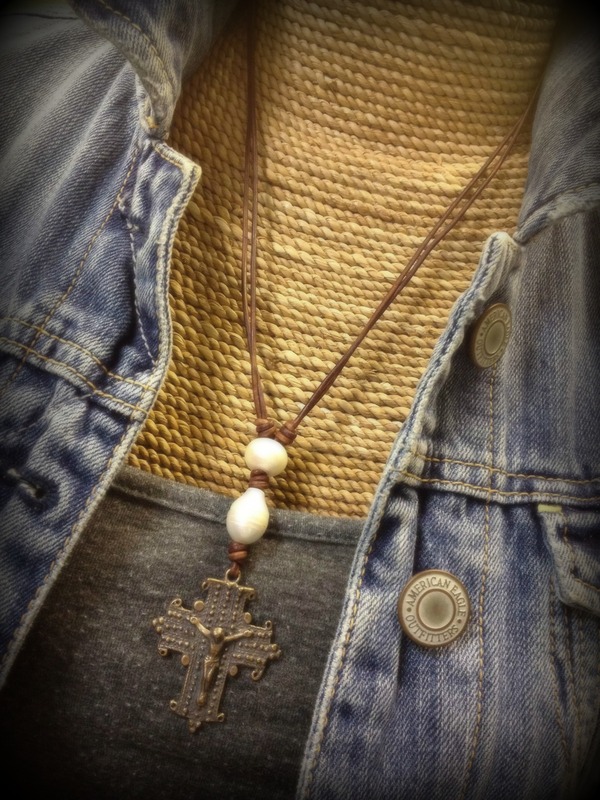 This necklace is great for layering with Elegant Crucifix & Pearl Necklace. It has a sliding knot closure for an adjustable length. Leather color shown is distressed brown.